When choosing the materials which are going to be a vital part of any project's infrastructure, there is no room for compromise. This is the for belief of A.S. Ballantine's customers, who know that the company consistently produces a visibly high quality product. 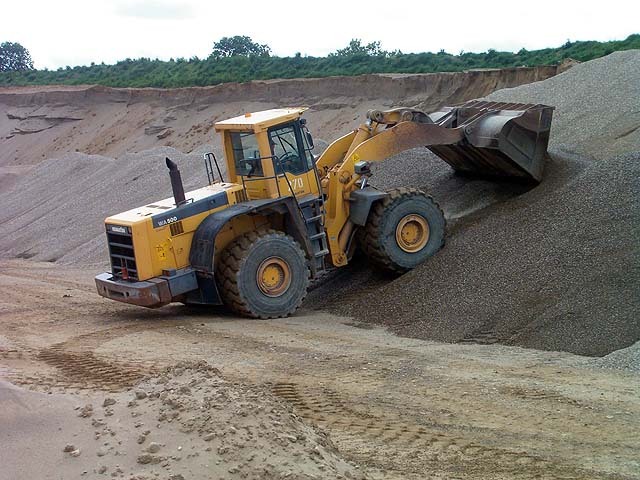 Make us your first choice for all types of quarry products! We mix it on the spot! A.S. Ballantine's Aughafad Quarry has its own on-site tarmac production plant, which yields high grade tarmac and asphalt, suited to the most demanding applications. 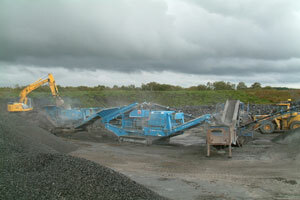 A number of mobile jaw crushers are available including a Pegson 1100 x 650 jaw crusher and a Kleenmann Reiner Mobycat. 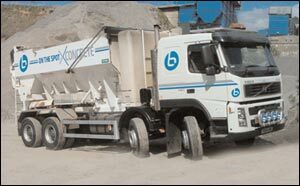 The company have also invested in a Pegson 1300 Maxtrak cone crusher. The 1300 Maxtrak is TEREX Pegson's largest tracked cone crusher and is suitable for secondary and tertiary applications with capabilities up to 350 tph. Based around the unbeatable 1300 Automax cone crusher, the 1300 Maxtrak features a system with a large feed hopper which is able to take an ‘all-in feed' from the jaw crusher, thereby improving cubicity, throughput and reduction ratios; whilst keeping capital costs to a minimum. A.S Ballantine operates a highly successful Plant Hire service, based on modern equipment which it has chosen with rigorous attention to reliability and safety. Kept in Excellent condition by in-house maintenance professionals, and sub-contractors where necessary, the company's specialist fleet of heavy duty equipment offers customers cost-effective peace of mind. 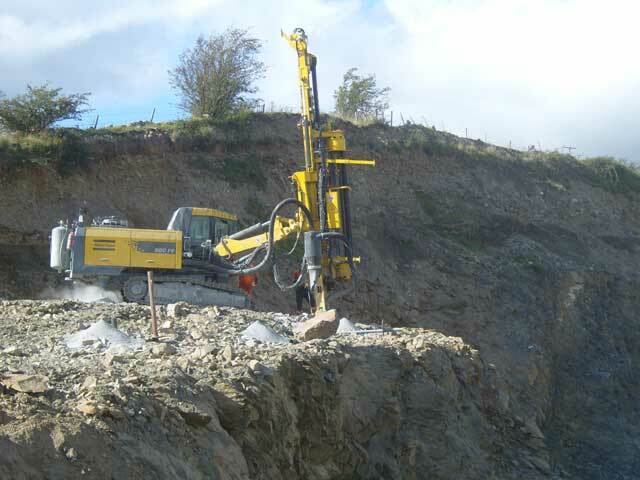 A.S. Ballantine's operate a Blasting & Drilling service though our sister comany ROCDRILL. 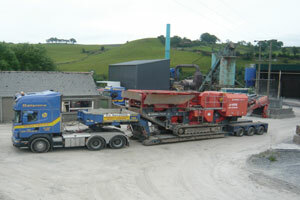 A.S. Ballantine's operate a heavy Haulage service, with various vehicles available including low-loaders. 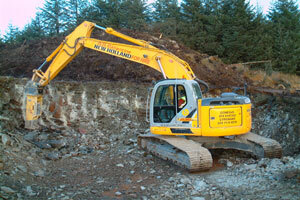 Good site management provided quality on site. Good contract management ensured project delivery and good communications and quick identification and resolution of issues. Quality of work was excellent. 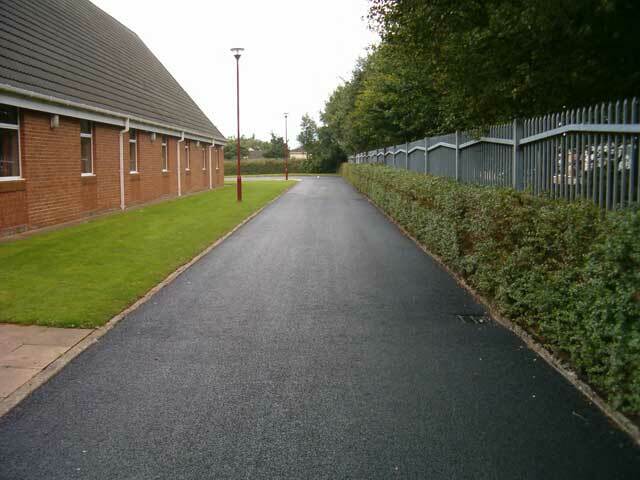 Company was run very well and any issues that were raised were dealt with in a timely and efficient manner. I found Ballantine's a good company to work with & would recommend them for any tender list.